Air travel can be stressful for your furry friends. 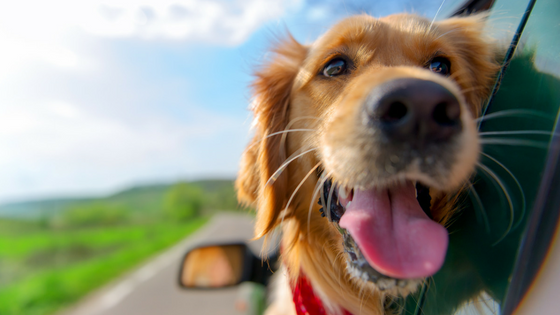 Transporting pets when we move your vehicle results in happy tails. Take the stress out of your next trip for this beloved family member. Remember the hard time you had getting your car here… Don’t use the same people again! Your personal belongings come with us! When you hire a driver to take your car long-distance, you don’t want to hire just anyone. Your car transporter should really be working for you! Make sure you get a Professional Driver. Your vehicle is an important asset and you don’t want to turn it over to just anyone. See why Professional Drivers is the best company you can engage. Car shipping versus car drivers. Door-to-door service, personal belongings, pet transportation, and you, may accompany us to your summer home. Still not convinced, read our auto transport reviews. Vehicle transport experts. Our service is faster, safer and more reliable than traditional vehicle transportation service. Your vehicle will be transported by a real professional driver. We transport cars, vans, U-Haul type trucks, and will tow trailers. We service the Continental US, to/from Canada, and all import/export piers. We work on your schedule; door-to-door delivery in days not weeks. Contact us today and see why we should be your vehicle transportation service. Can you afford to take off the time from work to get your child’s car home? You Fly; we drive; it is fast, convenient and doesn’t tie up your schedule. It’s dangerous having your inexperienced driver coping with all the traffic. Why not hire Professional Drivers, a car transportation service, to transport your car? Personal belongings (i.e. clothes, computers, printers, electronics and books) welcome in your vehicle. You are moving to a new job. You need to look into our car transportation services. We are faster and safer than the traditional auto haulers. We allow your personal belongings to accompany us in the vehicle. Pet transportation services available when we move your car. Why not hire your own professional driver for this long-distance trip? Our unique “Hate to Fly” services provide you with your own long-distance chauffeur. All you have to do is sit back and leave the driving to us. Professional Drivers is the fastest and safest way to transport your vehicle. We are a concierge service with over 9 million accident-free miles.